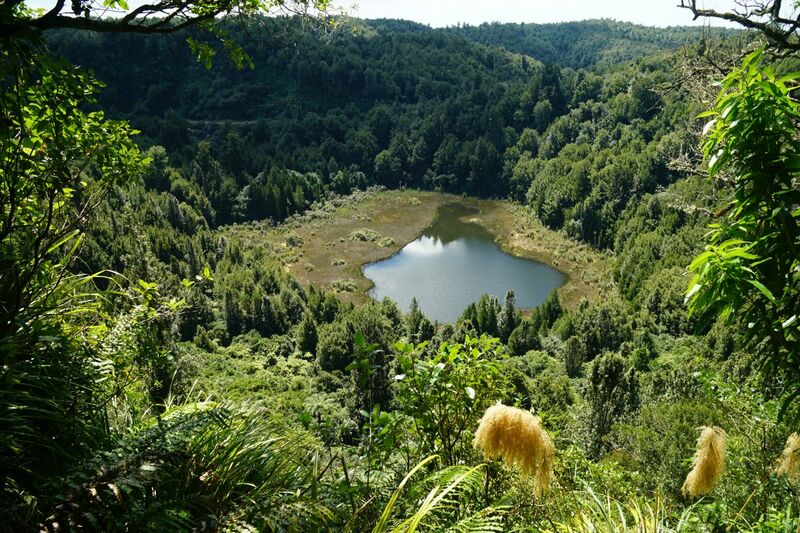 There are several short walking tracks in the Lake Okataina Scenic Reserve. Three of these, all to the east of Lake Okataina Road, are accessible directly from Lake Okataina Road. 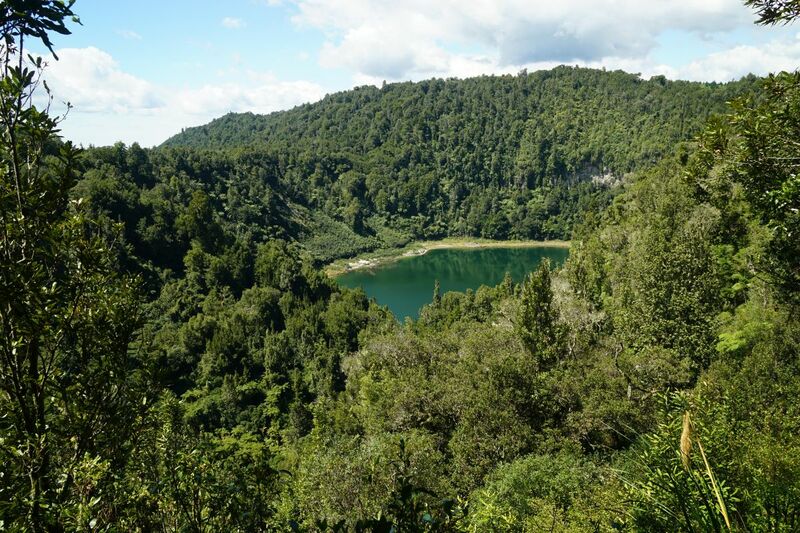 The northernmost, Ngahopua Track, is a loop track with views to two crater lakes, Lake Rotongata and Lake Rotoatua, that traverses a few gentle slopes and climbs. The other two tracks, Anaha and Kepa, are on almost flat terrain and are mostly old vehicle tracks. Lake Okataina Road branches off State Highway 30 at Ruato by Lake Rotoiti, north-east of Rotorua. 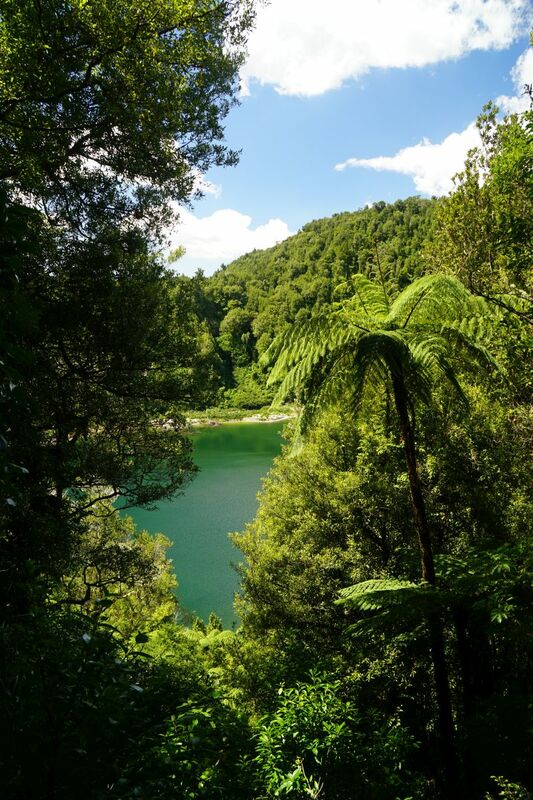 Information about the walks can be found on the DoC web site, and a brochure with walks and hikes in the Rotorua area, including a map of tracks in the Lake Okataina area, can be downloaded from the DoC site. Parking is available where the tracks connect to Lake Okataina Road, or by the road leading to the Outdoor Education Centre. Toilets are available at Lake Okataina. The walk was done starting from the road to the Outdoor Education Centre, Ngahopua Track in a clockwise direction to the junction with Anaha Track, Anaha Track to Lake Okataina Road, Lake Okataina Road to Kepa Track, Kepa Track and Anaha Track back to Ngahopua Track and out to Lake Okataina Road. Total distance was about 6.5 km, with a time of 1 hour 40 minutes. 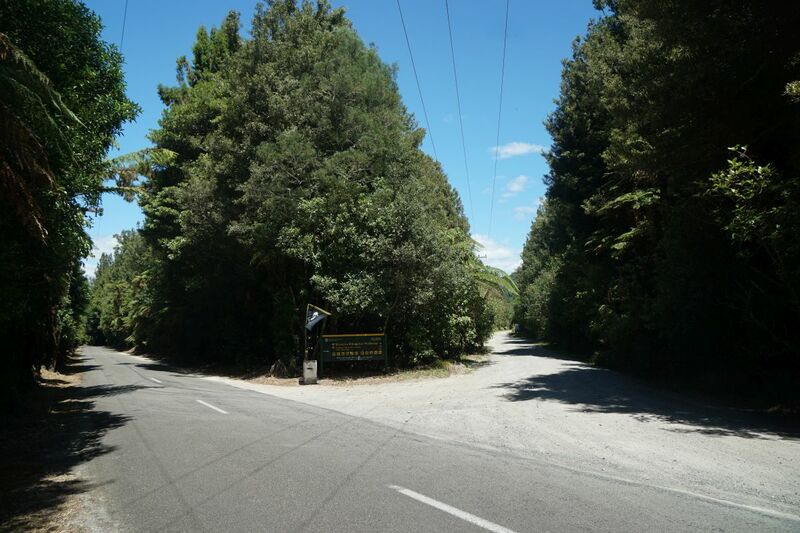 The road leading to the Outdoor Education Centre, on the right, branches off Lake Okataina Road, on the left. Ngahopua Track starts across Lake Okataina Rd from the Outdoor Education Centre road. Starting here traverses the track in a clockwise direction. 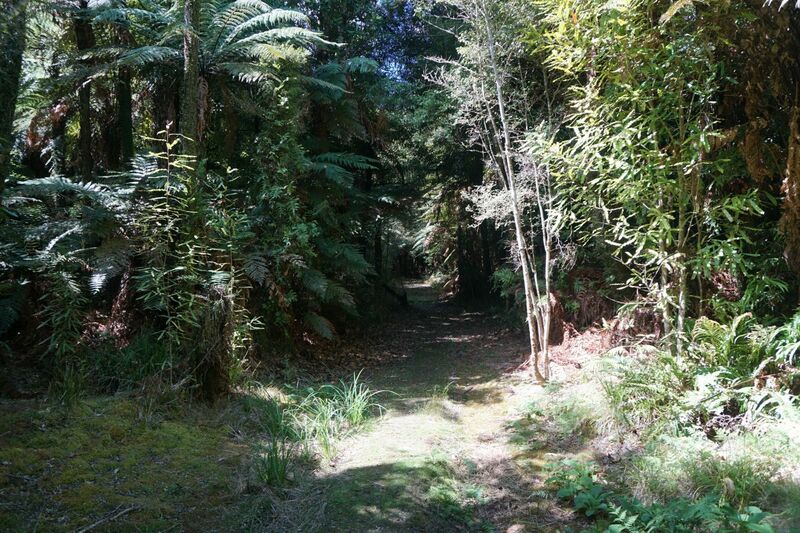 The narrow track passes through regenerating native forest, as well as past some mature trees. There are some gentle climbs and descents along the way. Lake Rotongata is clearly visible from the track. A short distance further on, Lake Rotoatua is only partly visible, with vegetation encroaching on the views. Another view of a part of Lake Rotoatua. 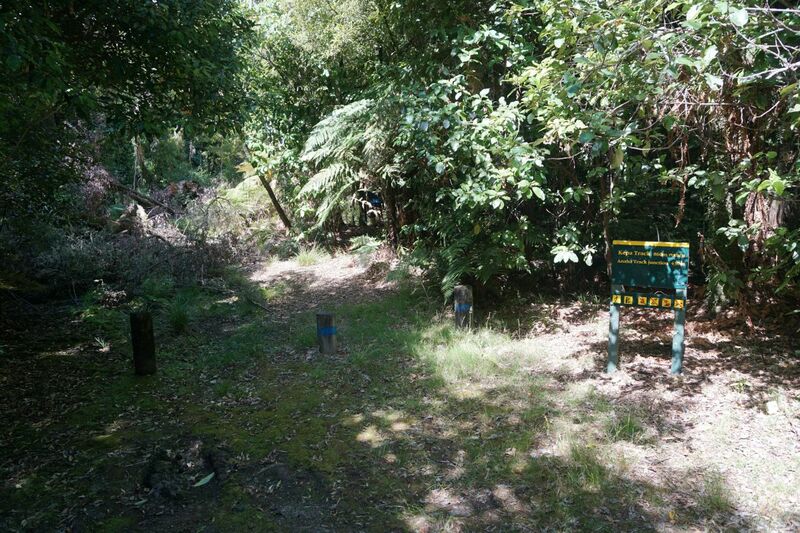 Ngahopua Track, on the left, connects to Anaha Track, on the right. 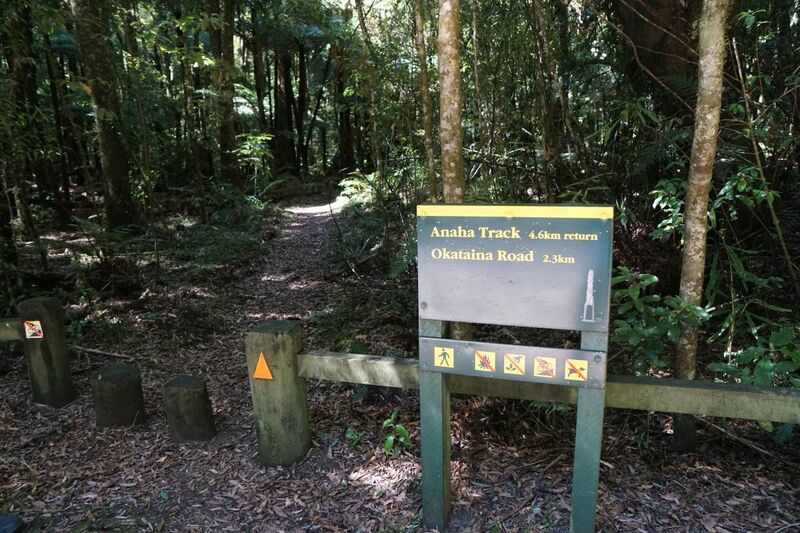 A short, joint track of about 250 metres leads directly back to Lake Okataina Road, about 100 metres south of the road to the Outdoor Education Centre. Anaha Track is wide and on mostly level ground. 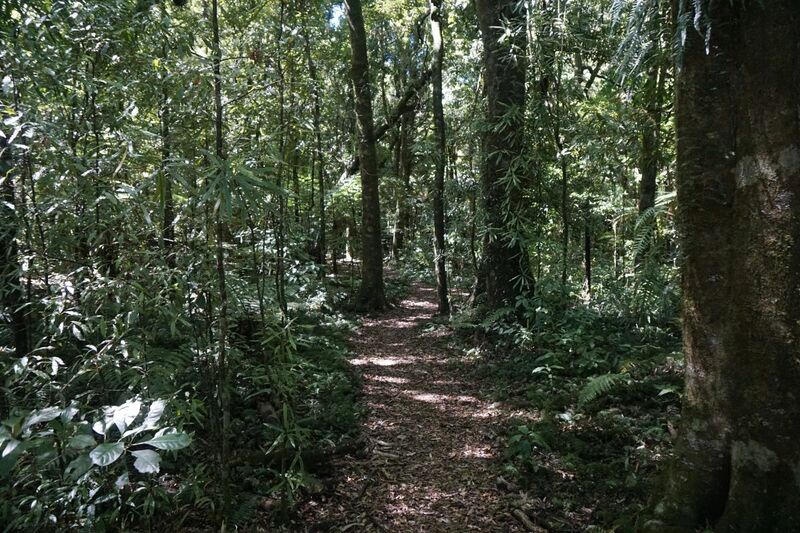 It passes through an area which was previously logged, so consists mostly of regenerating native forest. Anaha Track at the junction with Kepa Track, a level track about 450 metres long leading back to Lake Okataina Road, about 600 metres south of the Outdoor Education Centre road. The southern end of Anaha Track, where it connects with Lake Okataina Road. 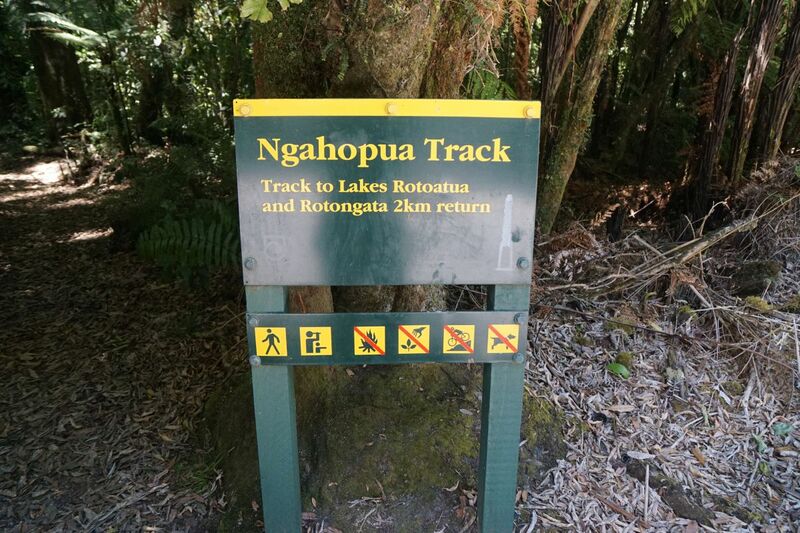 Kepa Track is a short, 450m long track, connecting Lake Okataina Road and Anaha Track. 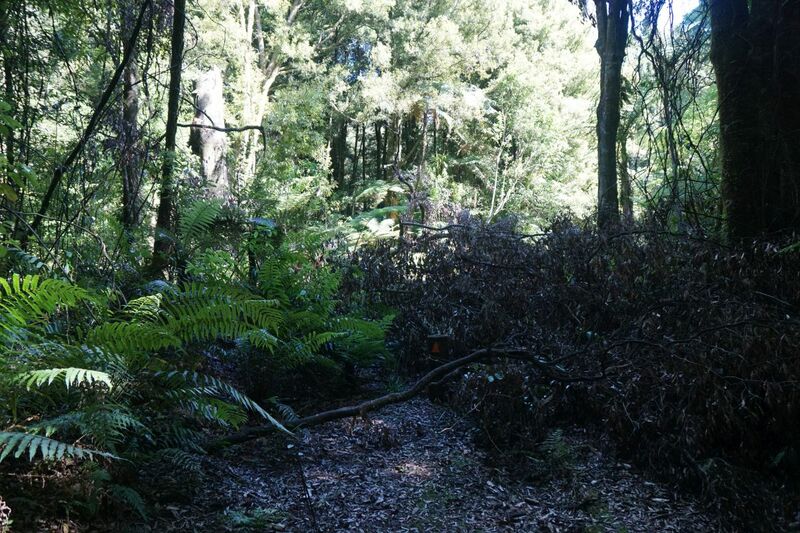 The entry from Lake Okataina Road was difficult to locate, due to fallen trees and branches covering the track. The track heads off to the left from the small parking area by the sign. The actual track was difficult to locate, and obviously not heavily used. 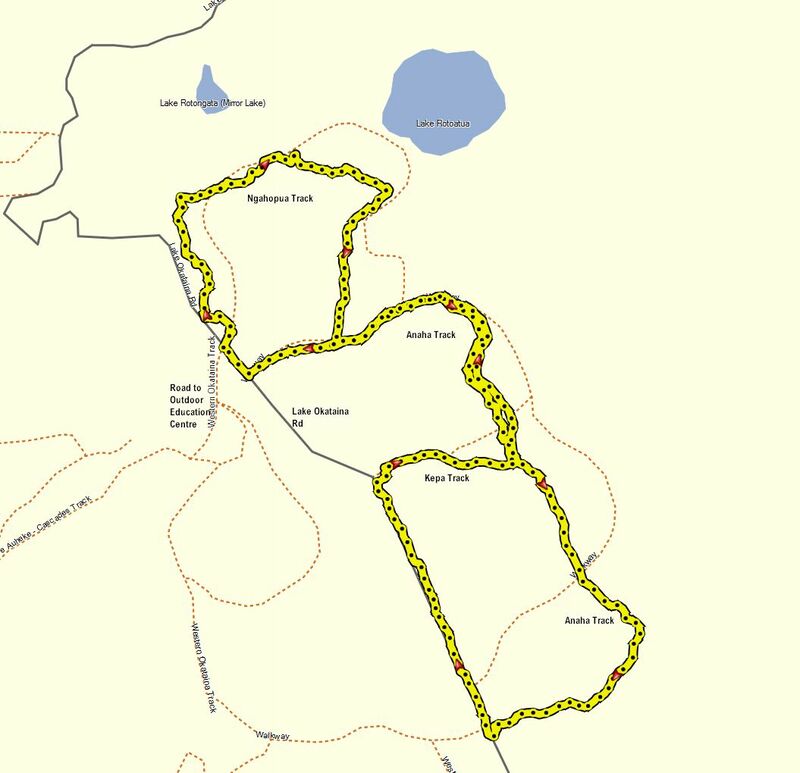 The GPS tracklog shows the route taken, starting with Ngahopua Track, then Anaha Track to the southern junction with Lake Okataina Road, Lake Okataina Road to Kepa Track, then Kepa Track and Anaha Track to Lake Okataina Road about 100m south of the Outdoor Education Centre road. Total distance about 6.5 km, with a total time of about 1 hour 40 minutes. 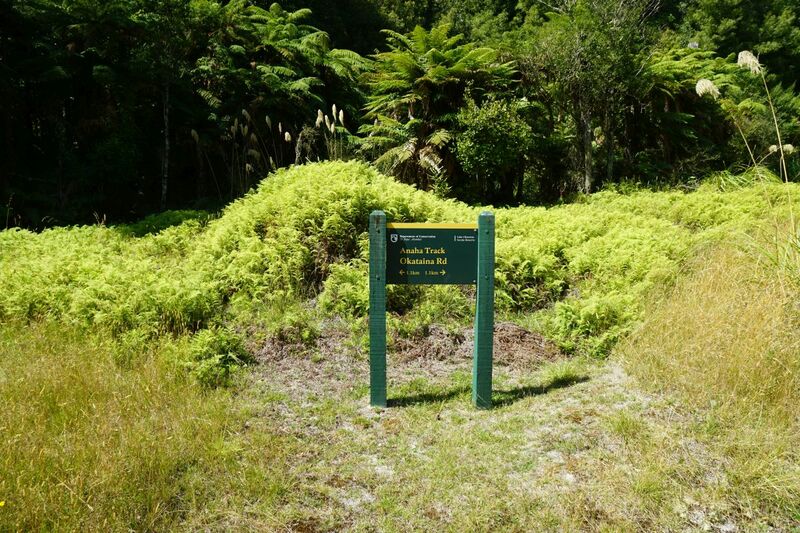 Ngahopua Track on its own, returning to the starting point, would be about 2.2 km long, and take about 40 minutes. 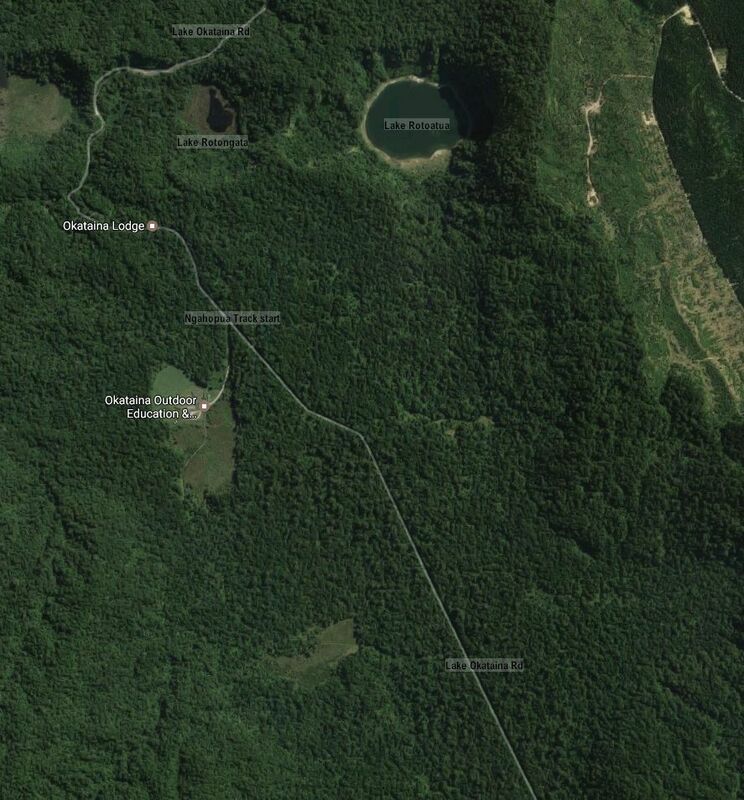 The aerial photo, from Google Maps, shows the same area as shown in the GPS tracklog. Note that Okataina Lodge is misplaced. The lodge is at the southern end of Lake Okataina Road. The tracks were walked on February 11, 2017. 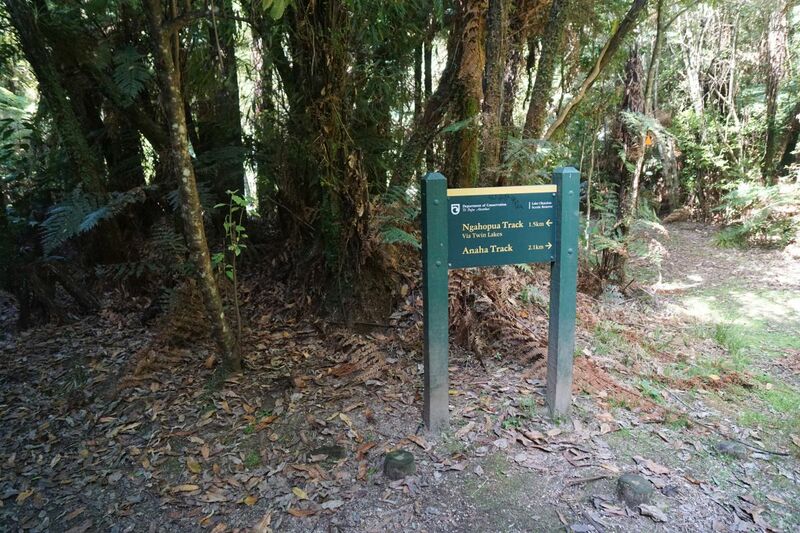 This entry was posted in Walks and tagged Anaha Track, Kepa Track, Lake Okataina, Lake Okataina Scenic Reserve, Ngahopua Track, Rotorua on 2017-02-24 by nzartig.